Repurpose the plate and revolving stand from a non-working microwave to make a lazy Susan for condiments or other things. 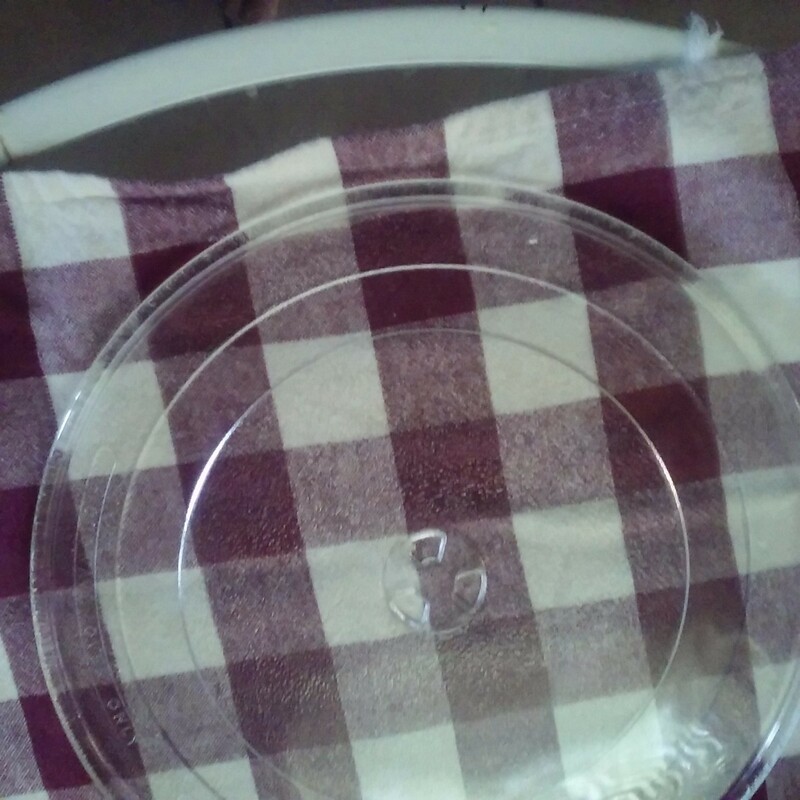 This is a guide about using a microwave glass tray as DIY lazy Susan. I recently saw a tip about recycling a microwave plate as a planter water catcher, serving plate, or anything else your heart desires and a light bulb idea turned on! 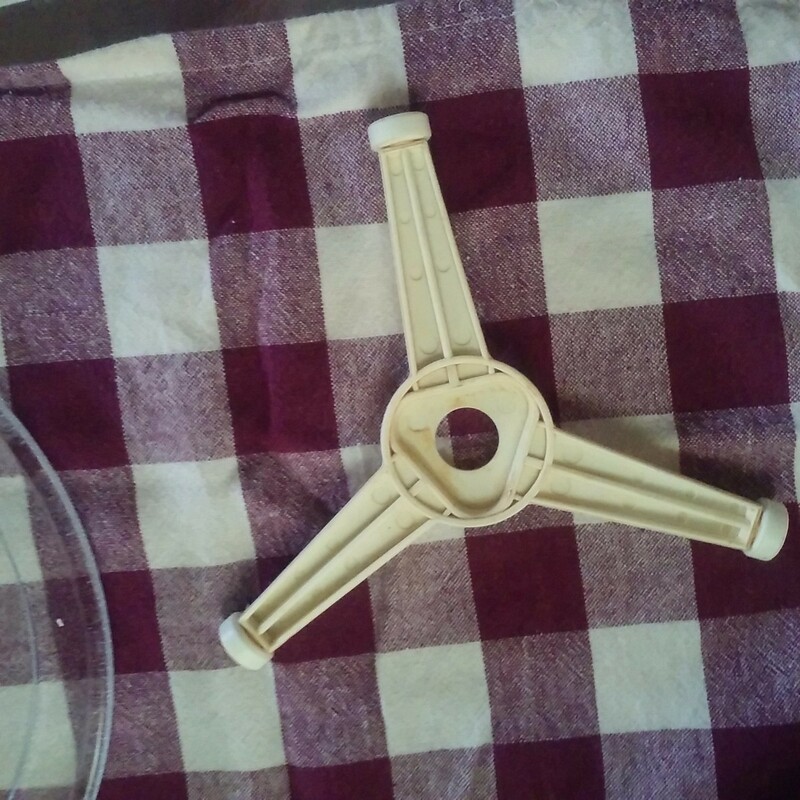 Besides keeping the glass microwave plate when replacing your microwave; be sure to also keep the plastic piece the plate sits on that works as the microwave turntable. Although my microwave is fine, I decided to do an experiment and here's how I got this idea to work. Next sit the dish on the turntable piece exactly the same as they sit together in the microwave and you will have a new Lazy Susan that can be used for your spices (or other items) in your kitchen cabinet, on counter top, tabletop or even for items on your desk or bathroom counter for easy access of those items with just a spin of the plate. 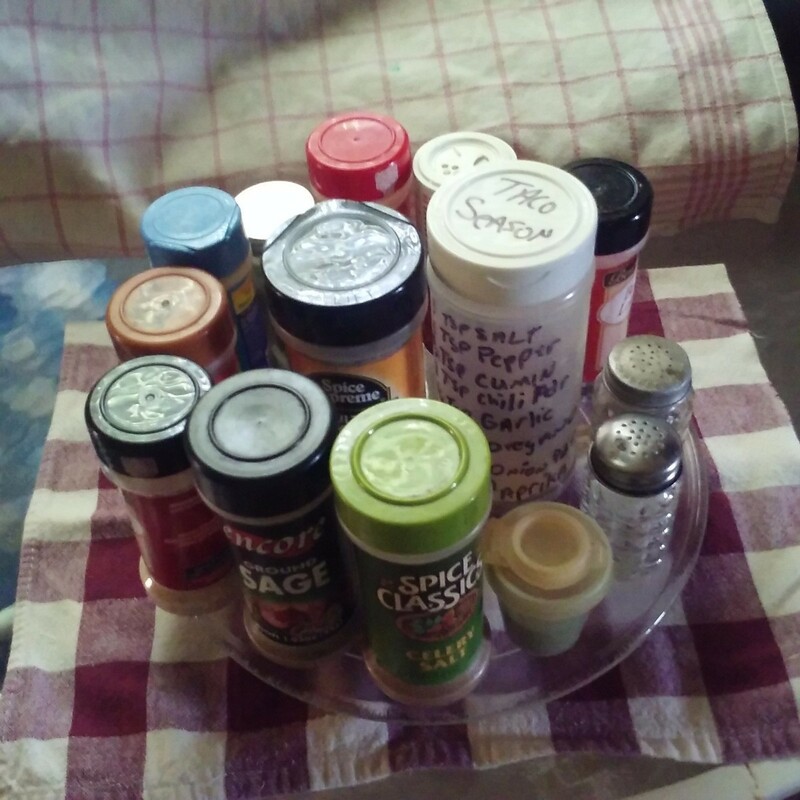 I took the glass plate and carousel out of my old microwave and made it into a Lazy Susan spice holder. It is easy to see the spices and even easier to get just turn it. I use mine for when I ice cakes. I have used mine for a lazy Suzanne. I have also used when frosting cakes. Works great! I have several in different sizes. I find at yard sales, some were from my old micro waves from years ago.